We took our bestselling Sportsman model and gave it more: more fishing space than other boats in its class, more stability to ensure your crew’s safety, more fuel capacity to keep you going, and more hull strength for days when Mother Nature gets mean. Plus, it features a long-awaited extended transom option to keep the gunnels high, and the engine out of the fishing cockpit area and out of your way. But that’s not all. Our fully-welded extended transom is longer and twice as wide as our competitors’, so you get more lateral stability, a longer-running surface, and better planing. At this point, we don’t have competitors—we have a whole new class of boat. Yamaha APX. SPEED RPM G.P.H. 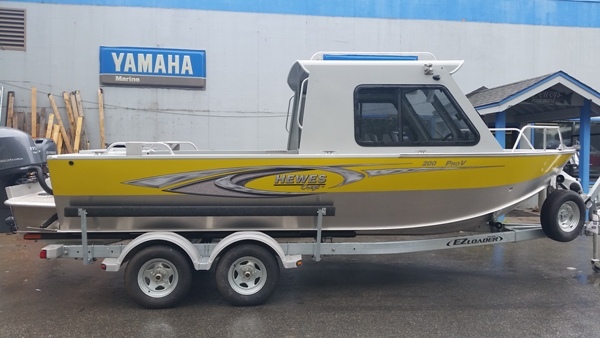 20' Pro V ET Yamaha F115 4-Stroke Spec. EZ Loader Trailer Spec. Beam 94" 1.8L Weight 900 lbs.